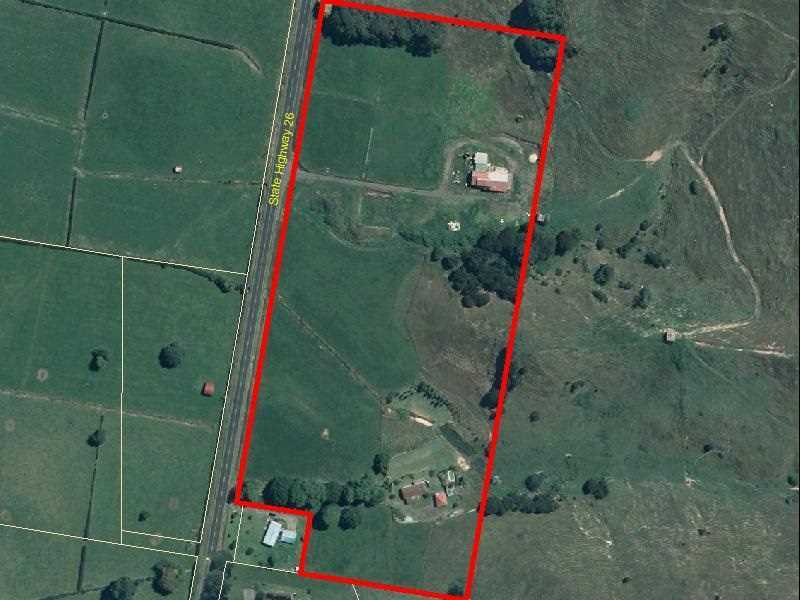 An estate in stratum in freehold being 8308 Paeroa Kopu Road, Paeroa, referred to in CT SA1D/853 South Auckland Registry is offered for sale by G A Mortimer, Sheriff at Auckland, acting on behalf of A H Morrison, Armer Farms (N.I.) Ltd, O'Sullivan Clemens, G W Elvin and S Darragh as trustees of the FTB Trust, and Tihoi Holdings Ltd (entitled parties) who have obtained judgement in the High Court at Rotorua. The property is a 6.6520 hectare rural lifestyle block in Hikutaia and comprises a 90m2 dwelling and a barn. The solicitors for the entitled parties are Geoff Beresford of Kennedys, Solicitors, Auckland and Hamish McQueen of Gilbert/Walker, Solicitors, Auckland.